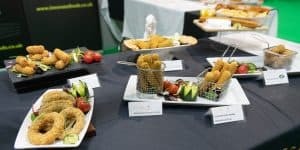 The Friars Pride annual trade show for fish and chip shops and caterers rocketed into life on the 17th March 2019 in Exeter! 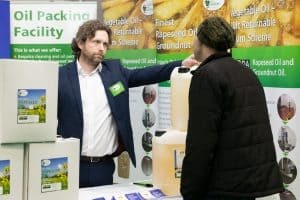 Hosted at Westpoint Arena the show was once again a great success – with the registration kept busy as a constant flow of visitors entered the Westpoint Arena throughout the morning! With over 70 stands throughout show, there was plenty for everyone to get their teeth into – quite literally. There was everything a fish and chip shop could need, from fish and oils to ranges and EPOS systems to packaging, FRY I.T. 2019 had everything – even an entertainment stand for the children. FRY I.T. 2019 had one of the widest ranges of exhibitors we have seen! From the Innovate stand offering up a range of innovative products, which could be tasted, to Aimia Foods serving Shmoo milkshakes. With custo mers travelling from far and wide to have a look around the show to get their on-the-day only promotions on top of trying out a range of new products, this show has once again proven to be a playground for fish and chip shops and caterers alike. 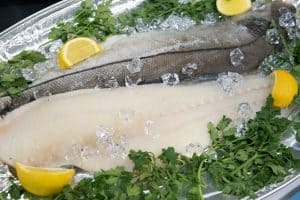 Once again this year we saw a range of fish on show, with cooked samples from Rammi and stands by Glacialis, JFK Gadus, Royal Greenland and Leinebris, there was great information available for visitors to learn about their fish – as well as make the most of great promotions. On the packaging front there was a great range on display, we had corrugated, card trays, compartment boxes, Lite-Bite boxes, pots and bags – giving you, our customer, a massive range of packaging to choose from! 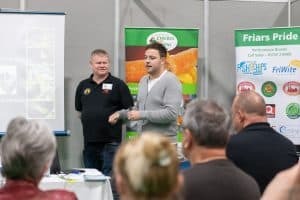 The on-the-day seminars proved very popular – especially the fats and oil management seminar, which was presented by Andrew Crook and Craig Maw from the NFFF. These seminars offered invaluable advice for which will help many of the visitors that attended the seminars. Also presented on the day was information about online ordering, with Proday’s Ben Duncan-Clark presenting. Speaking about ordering options, including online app ordering devices. Along with the great stands and seminars, there was also an equipment shop. The shop was selling a vast amount of equipment and items, which proved to be very popular on the day. Ready For FRY I.T. 2020? While FRY I.T. 2019 is over, you can still look forward to all your products you ordered on the day being delivered soon. On top of this, planning for FRY I.T. 2020 is already underway, so keep an eye out on our news pages for more information on FRY I.T. 2020. You could also follow us on Facebook (@FriarsPrideLtd) or Twitter (@FriarsPride) to keep up to date with FRY I.T. 2020 news! In the meantime, if you need any help or assistance, feel free to contact us by clicking here, alternatively you can contact your Area Sales Manager or Telesales Agent. Register now for FRY I.T. 2016 – Peterborough Arena!